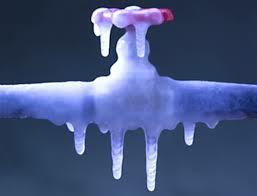 Due to sub-zero temperatures, ice formation in and around the water plant intake has limited water production capability. Water Department personnel have and will continue to implement alternative means to try and increase water intake and production. At this time, the City of Huron is asking that all residents make every effort to conserve water usage. Please limit time in showers and avoid unnecessary running of washing machines, etc. The city will provide updates as the situation progresses. Thank you in advance for your efforts.